The time has come. The time of year when everyone is making resolutions, vowing to change something for the New Year. We commit to the gym, to new diets, to drop that habit, change our lives…only to find ourselves discouraged near the end of January. But The Plunge? It’s a new challenge every week. You get a new start every Monday morning with a new adventure to take. AND you get to take that challenge with hundreds of other friends who want the same thing – a life lived to the fullest. The Plunge gives us all a focus outside of ourselves. It’s easy to get wrapped up in our own stress and our own problems. The Plunge allows us to seize opportunities we might not normally take. 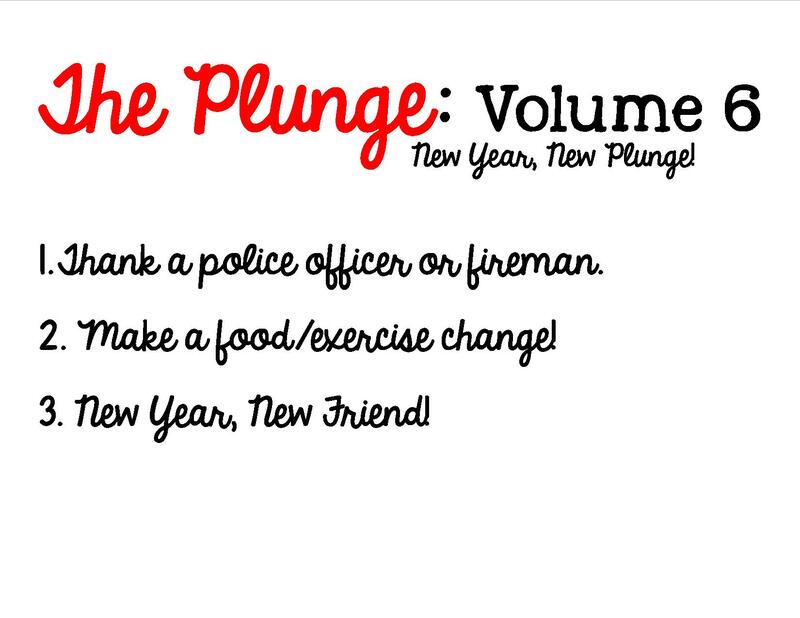 With that being said, let’s ring in the New Year with a New Plunge! When I was a young child, I was shopping in the mall with my parents. Long story short, I got lost. My parents ran down the hallways of that shopping mall screaming my name. When they finally found me, I was holding hands with a kind police officer. They had no idea where I had been and what happened during the time I was lost. But when they saw my hand in the hand of an officer, they knew everything was going to be okay. One of my dear friends is married to a police officer. I have watched the sacrifices they make as a family – sometimes not having him on holidays because he is protecting the people of his city. I have watched how seriously he takes his job – I even had the privilege of riding along with him one night. Even on a slow night, he routinely is placed in the line of danger each time he approaches a car, a door, a home…he never knows what will greet him as he climbs into his car every shift. What he sees, what he experiences, what he faces – being a police officer is definitely a calling. And this week’s Plunge I would like to recognize those who protect and serve us, keeping us safe. Here is a great article with ideas as to how you can show your gratitude. Thank a police officer or fireman for his or her service. Do a kindness for a police officer or fireman and/or his/her family. With the New Year comes New Resolutions. Almost always those resolutions include something that affects our bodies – whether it be food or exercise. Just as I wrote about in one of my earlier blog posts, I’ve come to realize that it can’t be about a diet or a temporary fix. It needs to be a lifestyle change. My husband and I are going to be celebrating our one year anniversary of freedom from addiction to food this New Year. Listen. You can do ANYTHING for a week. So, why not try out your food or exercise change for a week to prove to yourself you can do it? So is it 15 minutes a day of cardio? Is it cutting out sugar? Is it something bigger? Are you READY to make the ultimate change? You can check out my food posts about how we did it if you’re curious. Maybe you just want to go drastic and try something crazy for one week. It’s The Plunge, isn’t it? So jump in! You can do it! Commit yourself to a food or exercise challenge for one week. Know that this one week challenge could easily become a lifestyle change! Prepare yourself to make the change! Friendship is important to all of us – the people in our lives who encourage us, hold us accountable, make a difference. During every season of my life I can think of friendships that have made a huge, considerable difference. People who celebrated, mourned, remembered, loved with me. Sometimes we are content with the friendships in our lives and we forget how much we can learn from each new person who steps into our hearts – no matter how long they are there. Everyone we meet allows us the opportunity to glean – to gather or collect, to search, to learn – to grow as people. It becomes more difficult to find friends as our lives become busier – filled with children and events and romance and love and work and…the list goes on and on. There’s an interesting article in the New York Times about why it’s so difficult to find friends as adults. So it’s a New Year. And it’s time to INTENTIONALLY connect with a new friend. Maybe it’s someone you have wanted to become friends with or someone you used to be close to. But this week, focus your efforts on developing that friendship. Perhaps you can give that person a card, a gift, a phone call. Maybe ask him/her to go for lunch, for coffee. Even if it’s way in the future, set a lunch date. 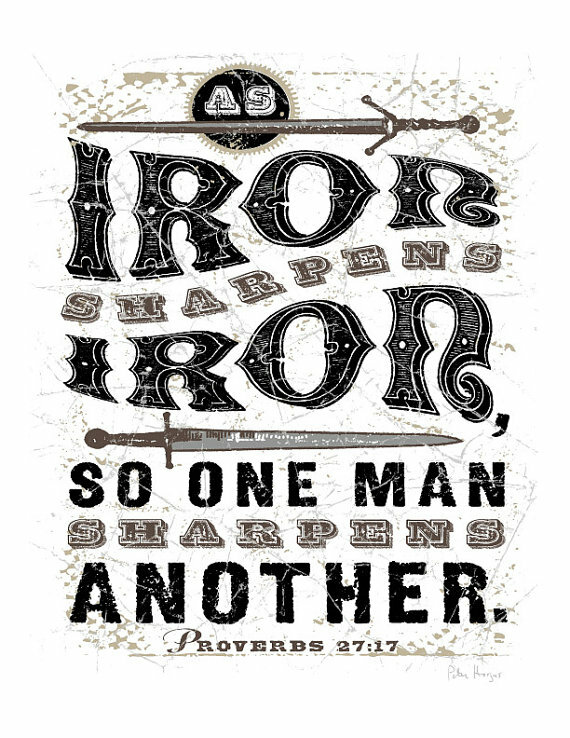 Seek someone out – someone you can glean from, learn from, grow from. Find a friend who will make you better. You may find your soulmate, you may just find a new acquaintance. But you never know unless you try. Seek someone out and intentionally befriend him/her. So, there’s an extra Plunge this week. How many people can you get to take #ThePlunge this week? It’s a New Year. People are looking to change their lives. So share about The Plunge on twitter, Instagram, Facebook – e-mail your friends and family. Be looking for some different Plunges in the next weeks and months – Plunges for kids, for Stay At Home Moms, Grandparents, teenagers…there will be some specific Plunges for Families. Feel free to give me some ideas, some feedback – what kinds of Plunges would you like to see? Submit yourselves for the Lord’s sake to every authority instituted among men. I am excited to see the love poured out for our officers – both police and fire. As we submit ourselves to the authority in place in our country, let’s show our appreciation and love for the sacrifices they make daily. As you move to make a decision about what food and/or exercise changes you will try this week, pray for the Lord’s strength as you are attempting to take care of His temple. I can testify to the fact that until I laid down my control (and lack of it) and allowed the Lord control of my food addiction, meaning I was willing to do WHATEVER He asked me to do, I couldn’t really make a change. So as you decide to make your change, seek Him for your final decision. There are countless verses in the bible about friendship. As you pray about who you will reach out to, look up some of those verses (it is simply a Google away…). He will be your guide as you seek the right person. It is my firm belief that we should always be mentoring someone, and someone should always be mentoring us. Perhaps the person you want to reach out to is someone you have desired mentorship from. Don’t be afraid – it can often feel silly to approach someone about friendship. It feels like you’re back in elementary school – because there is a possibility of rejection. But wouldn’t you rather have asked? Just recently I felt called to spend time in prayer with a specific friend. I felt very vulnerable approaching her to ask if we could become prayer partners. The Lord had already been talking to her about the same thing. Now we pray together at 6 a.m. every Tuesday morning – and it is the most fulfilling and deepening time for me. Her friendship is sharpening me to be a stronger woman and warrior. Posted in The Plunge. Bookmark the permalink.